A senior engineer commented during the annual session of China's top advisory body on Saturday that China is leading the world in bullet train technology and will implement a self-driving system on the high-speed train in time for the 2022 Winter Olympics in Beijing. Zhao Hongwei, chief engineer at the China Academy of Railway Sciences and a member of the 13th National Committee of the Chinese People's Political Consultative Conference (CPPCC), discussed the development of automatic and unmanned technology on China's high-speed trains ahead of the opening of the first session of the 13th CPPCC National Committee which runs through March 3 - March 15. Fuxing, which debuted last year on the line connecting Beijing and Shanghai, has an operating speed of 350 km/h - the world's fastest and contains the most advanced technologies, Zhao said. Fuxing trains are entirely designed and manufactured in China, led by the China Railway Corporation, with China holding the complete intellectual property rights for the trains. 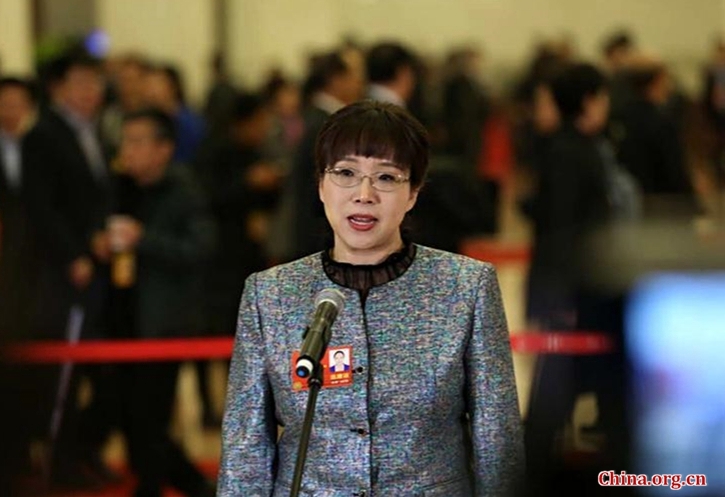 Zhao said her R&D team are developing other series of bullet trains based on Fuxing which can run at speeds of 250 km/h and 160 km/h according to different operating environments, geological conditions and speed requirements. She added that the future of bullet trains will move towards intelligent and green development which utilizes greater energy-efficiency. Self-driving bullet trains would mean that the driver only needs to press one button to activate all the necessary processes and functions such as accelerating and braking to stop the train. The world's first unmanned-driving bullet train may arrive on the Beijing-Zhangjiakou intercity railway in 2022, a high-speed section between Beijing and Zhangjiakou in Hebei Province. This high-speed railway is considered a crucial and vital link between all three location clusters of the Winter Olympics. Beijing will host most of the indoor events, while Yanqing will host Alpine skiing, luge and the bobsleigh, and Zhangjiakou will host Nordic skiing, snowboarding and freestyle skiing. The railway link is planned to place all venues within one hour of each other. Zhao added that the train series for the Beijing-Zhangjiakou intercity railway will also use more energy-saving and environmental-protection technologies as well as materials. They will also facilitate more intelligent services around the train to meet people's increasing demands for travel. As of 2017, China has the world's largest high-speed rail network with a total length of over 25,000 km, accounting for 66.3 percent of the world's total.